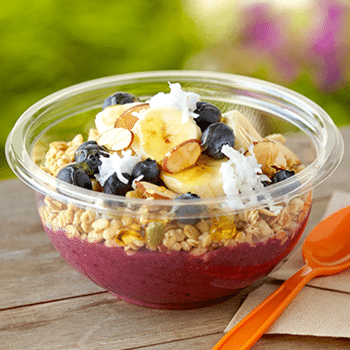 *Toppings for oatmeal and all the bowls at Jamba Hawaii include superfoods like berries! 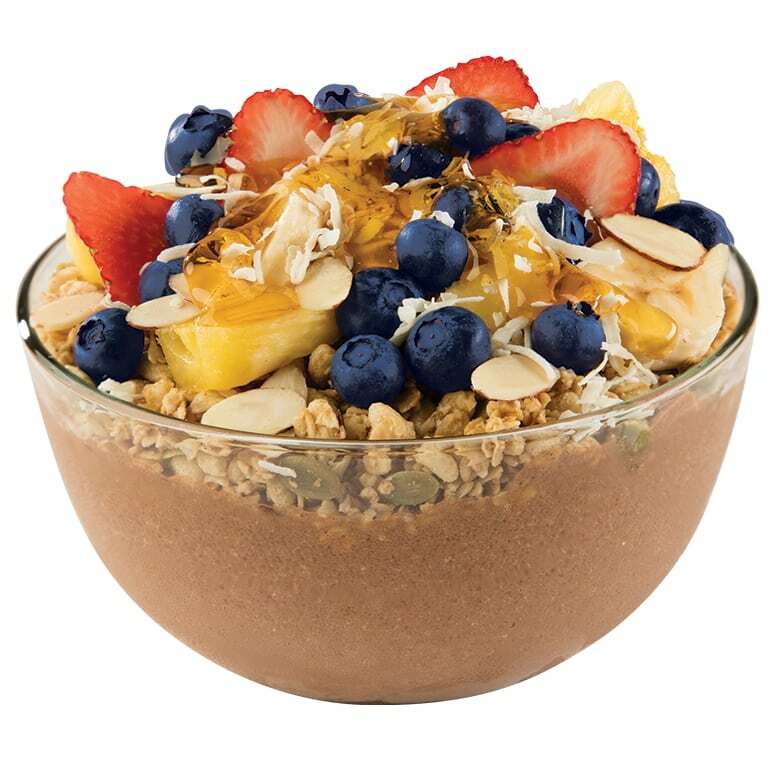 Our delicious topping choices are chock full of vitamins and nutrients that can help strengthen your immune system, benefit your heart health, and ease muscle recovery after work-outs! This delicious treat is filled with the nutritional power of almonds. 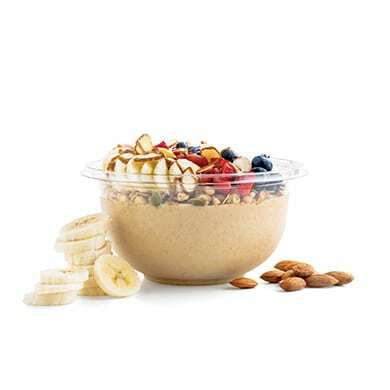 Blended with almond butter and almond milk, then topped with almonds, this bowl features the goodness almonds are known for: healthy mono-unsaturated fats, 10+ grams of protein, and a good source of calcium! Crafted to help you feel satisfied, it’s also a good source of fiber to help you feel full. 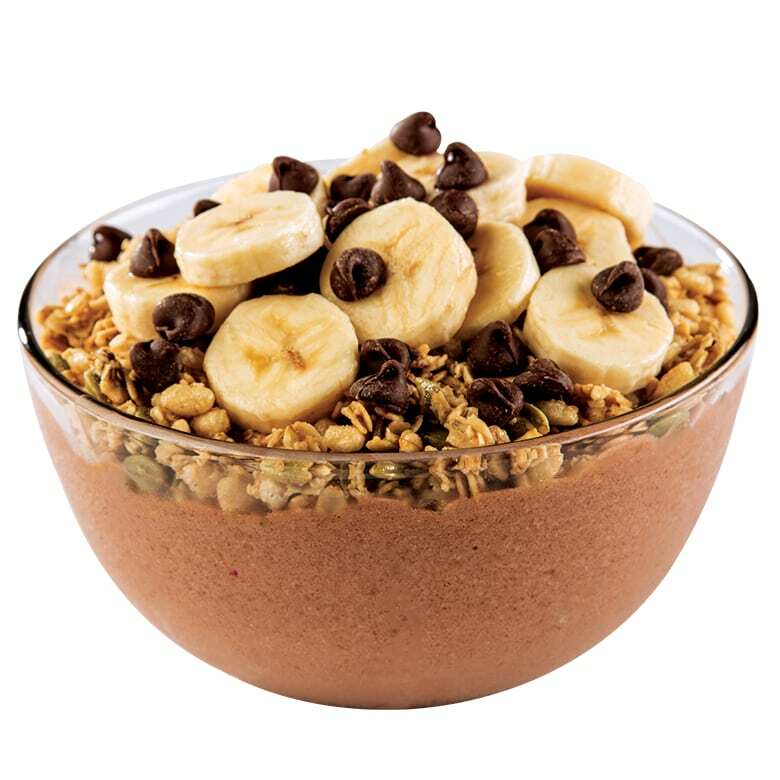 Want an added bonus to the nutrient-packed bowl? There’s 2 servings of fruit to balance out your day and get you closer to your healthfulness goals, whatever they may be. 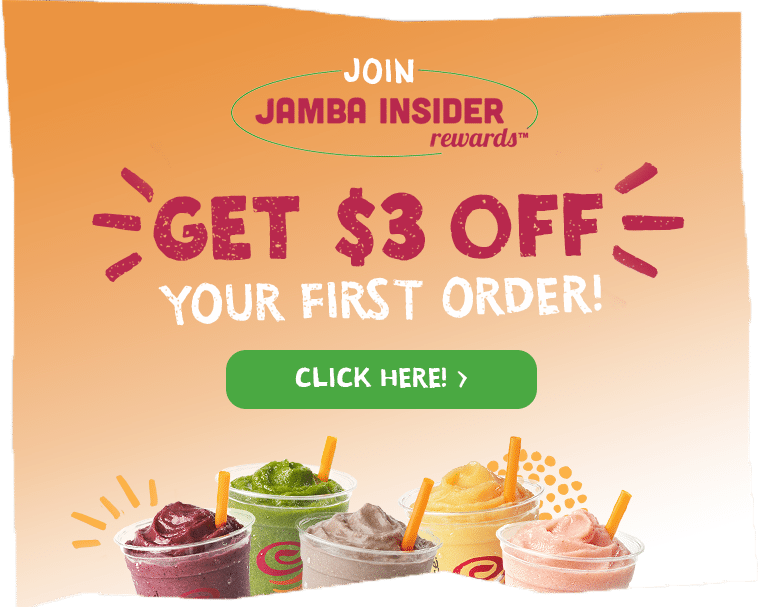 Features a delicious combination of greens and fruit, as well as vibrant, colorful toppings plus 2 servings of fruit and 1.5 servings of vegetables. 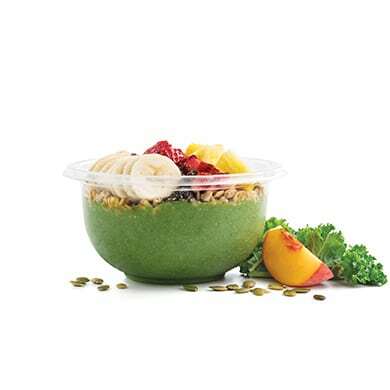 A vegan option, this bowl is filled with the leafy green kale and Vitamin K, which play important roles in protein building to maintain blood and bone health. With 160% of the recommended daily value, this bowl is an excellent source of Vitamin C, as well as 170% daily recommended value of Vitamin A. 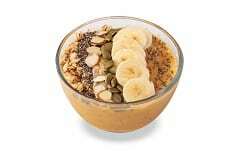 This bowl is topped with chia seeds and features a good source of the Omega-3 fatty acid – alpha linolenic acid (ALA). ALA is a healthy essential fat found in every cell in the body. Omega-3s are responsible for key maintenance functions in almost every system including the cardiovascular and immune systems. 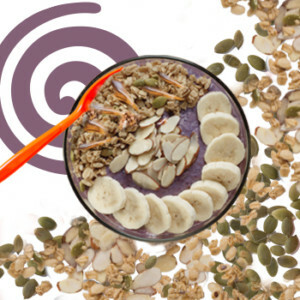 A tasty twist of Açaí juice, soymilk, blueberries, strawberries and bananas, which we top with organic granola, fresh bananas, fresh blueberries, coconut, almonds and a drizzle of honey. A new twist on an old favorite. A delicious blend of fresh Greek yogurt with strawberries, bananas, peanut butter, and soymilk. 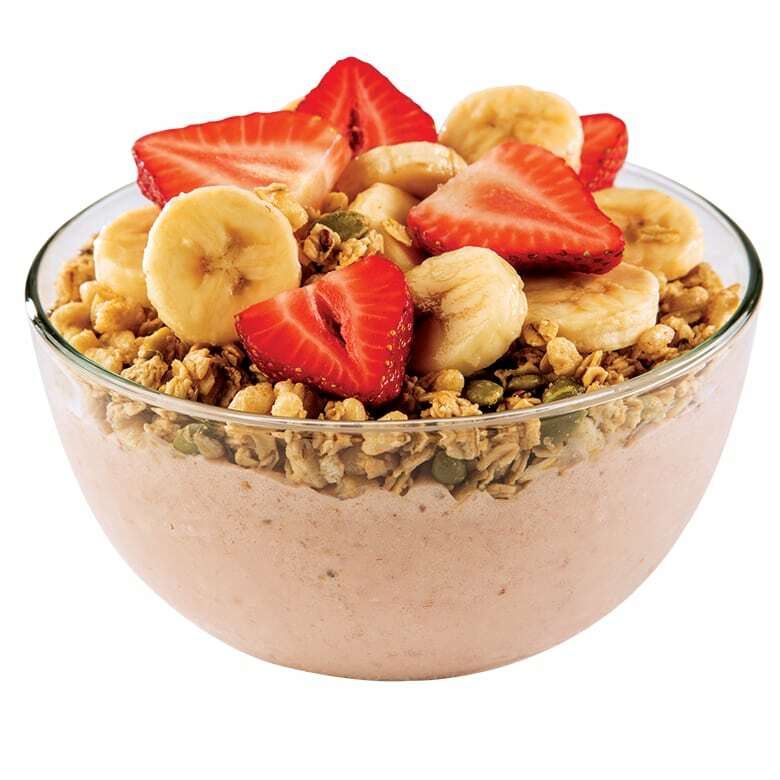 It’s topped with organic granola, fresh bananas and fresh strawberries and served in a convenient, on–the-go bowl.